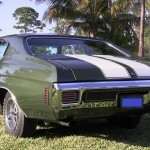 1970 is considered the pinnacle year for old school muscle cars. 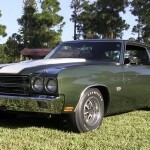 Nothing says old school muscle like a 1970 Chevelle SS 396. 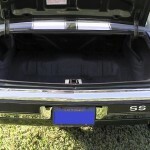 Most muscle car purist believe the Chevelle SS embodied everything about the muscle car era: muscular looks; big block V8 engine; bucket seats; stripes, and a dual exhaust rumble. 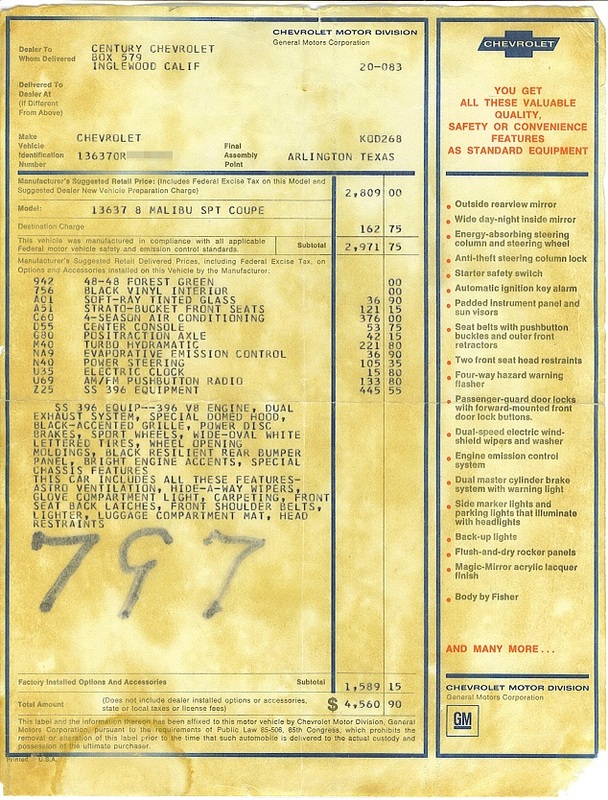 The 1970 Chevelle SS pictured here was maintained lovingly by its original owner who kept all of the original paper work from his purchase including the window sticker. 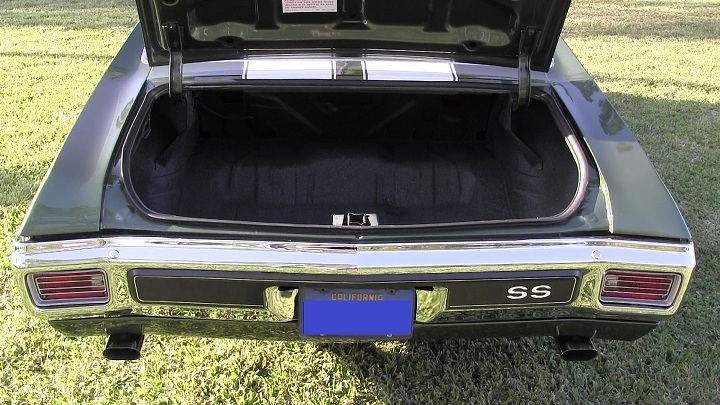 This original Chevelle SS still has its matching number L34 396 / 350 horsepower hydraulic lifter Big Block V8 wedged between the fenders as well as its matching number M40 Turbo 400 transmission. 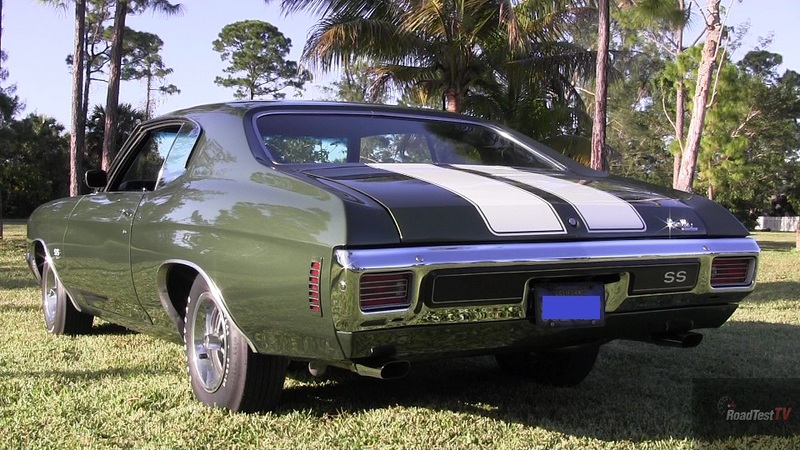 In 1970, a Chevelle had a base price of $2,809.00; however, the sticker price on this car was a whopping $4,560.90 because it was optioned with the SS 396 package, positraction rear, power steering, tinted glass, bucket seats, console and air conditioning. 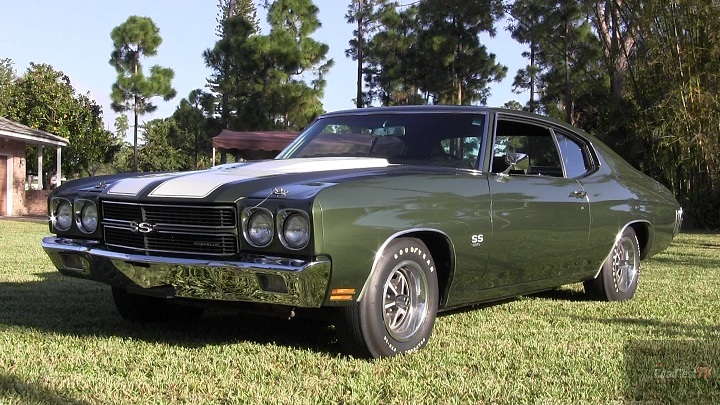 We are told that this beautiful Chevelle, which still wears its original color – code 48 Forest Green – may be for sale in the near future. 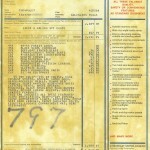 If interested, comment below.